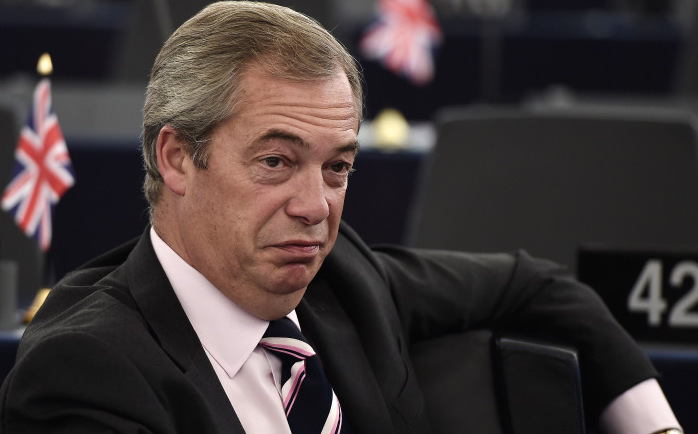 Ukip will be asked by the EU to pay back almost £150000 in ‘misspent funds’ trying to get Nigel Farage elected. The document, seen by The Guardian and Sky News, claimed Ukip allegedly spent EU cash on polling and analysis on target seats for the 2015 general election, including the South Thanet constituency Nigel Farage unsuccessfully contested. The audit also apparently claims Ukip used the funds to pay for surveys ahead of the official EU referendum period. The misspent grants allegedly total more than £430,000. The European Parliament Bureau will make a verdict on Monday (21 November), which could see the Alliance for Direct Democracy in Europe (ADDE) group asked to pay back more than €170,000 or £146,185 and denied further grants. “These services were not in the interest of the European party, which could neither be involved in the national elections nor in the referendum on national level,” the watchdog reportedly said. A spokesperson for the ADDE said the Eurosceptic group will be taking the matter to court. “The parliament administration has for months taken an aggressive and hostile attitude over the audit, amounting to nothing short of deliberate harassment,” the spokesperson said. “We have responded to their queries with a mass of information and explanation justifying our activities and expenditure. “They have simply ignored our submissions and in several cases these submissions having been made repeatedly on their request. “They have broadened the definition of “expenditure supporting a political party” so widely as to deny us the right to undertake any activity which might be remotely interesting to ADDE members. The ADDE group was founded in 2014 by Farage and 16 of Ukip’s MEPs are members of the organisation, while the second largest party is Sweden Democrats with two MEPs. The European Parliament and Ukip had not responded to a request for comment at the time of publication.